We are swimming in a sea of diamond light, gamma waves and plasma blasts…a deluge of high frequency cosmic energy affecting the entire planet. Plasma is a cloud consisting of positively charged ions and free-flowing electrons that tends to be extremely hot, like those found in fusion devices. The plasma waves are entering the earth plane through recurring solar winds. The increasing plasma blasts weaken earth’s magnetic field and unlock stuck trauma and cellular memory from the human biofield. As the heavy magnetic layers dissolve and release, you may be experiencing intense waves of body heat and energetic clearing. Those with an Atlantean timeline will need to heal and clear past-life trauma and release the destroyed timeline from the aura. This is an extraordinary opportunity to unlock lifetimes of trapped density. As you break free from the magnetic matrix lockdown, new future timelines are starting to appear on the path of light. The veils are thinning between dimensional realities. The timelines appear like possible outcomes trying to land and anchor in the current reality…a flashing kaleidoscope of holographic images trying to get traction. As the timelines shift around a bit, use the power of intention and command in your ascended ‘Soul Life’ to begin. Due to the increased gamma/plasma blasts, the DNA is spinning faster, leveling up into higher frequencies of order. Your Soul is re-coding your DNA to operate multi-dimensionally with multiple strands. Focus on bringing all aspects into holistic union while synchronizing the frequency of the physical body with the energy field at zero point. Light’s signal increases higher at zero point due to the crystallizing structure of the body. Operating as a human radio receiver, the body crystals amplify your Soul’s sound waves and radiate more light. 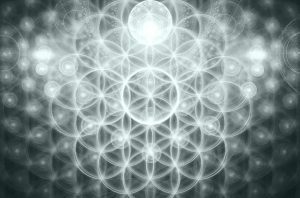 The diamond crystal light is activating the 12-Strand DNA shaped in the geometry of Metatron’s Cube ‘12 points of Light’ – the creational template of the ‘dodecahedron’ structure of the universe. As you travel this path you are reshaping, recoding and rebuilding your Light Body. As you rise higher and higher in vibration and dimensional access, you start to view life from the ‘top down’ perspective. No longer lost among the trees in the forest, you can view life from above, seeing the bigger picture (right brain) and all the details from your high perch. Everything is opening up! Another strong cosmic shift occurs on Tuesday, May 15th when Uranus moves through Taurus (2018-2026) the same day of the New Moon at 24° Taurus. The New Moon in Taurus emphasizes what we truly value in life. Uranus, the planet of unexpected revolutionary change will enter Taurus, the earth sign of money, Wall Street, banking and material possessions. We are evolving away from valuing money and power above all else to more esoteric essentials like love, compassion, beauty, harmony, health, community, and world peace. During the ‘Uranus in Taurus’ 8 year transit we will confront the corrupt financial enslavement of humanity. Values in materialism will change. Uranus will help break us free from what is holding us back – breaking loose out-dated systems and archaic beliefs. Expect more public protests against corrupt capitalism. This will shake up the financial market, global currencies and wealth distribution. Change is coming! Don’t miss these powerful Activations! This Saturday, May 5th I will join Manette for another New Earth Show on the recurring magnetic shifts, multidimensional DNA and Uranus moving into Taurus. Join other Lightworkers for timely Ascension tips and Activations. We will work with the cosmic magnetic shifts and crystallizing DNA.